One of the most heinous acts is to destroy a place of worship. 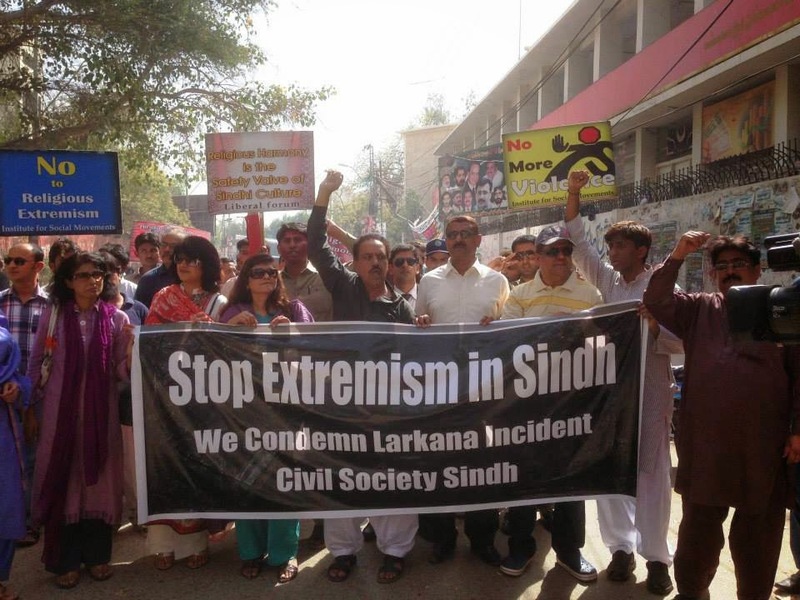 News reached IUFE that the Larkana Hindu Shrine in Hyderabad was set ablaze by an angry mob who claimed the man, a Hindu from the city of Hyderabad burned pages of the Koran. 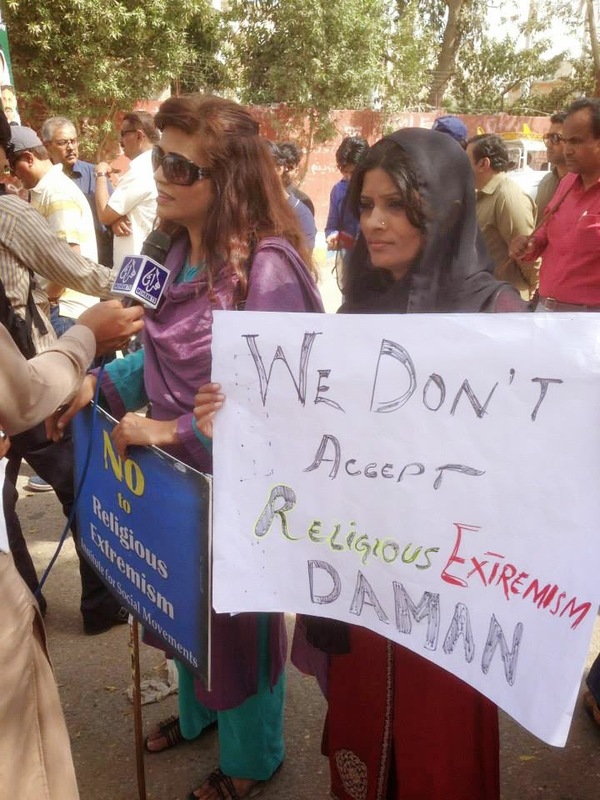 Many accusations are made against non Muslims in Pakistan. It is a way of settling personal vendettas. It is also a way to strike fear in the society and create turmoil in a peaceful existence, This peaceful existence was an essential part of Sindhi culture. 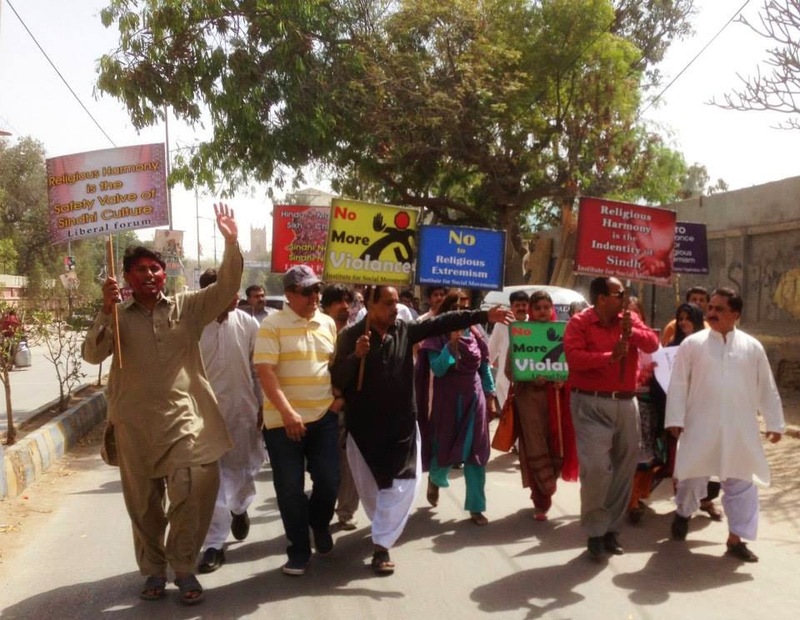 Hindus in Pakistan play a large role in the society of Pakistan. 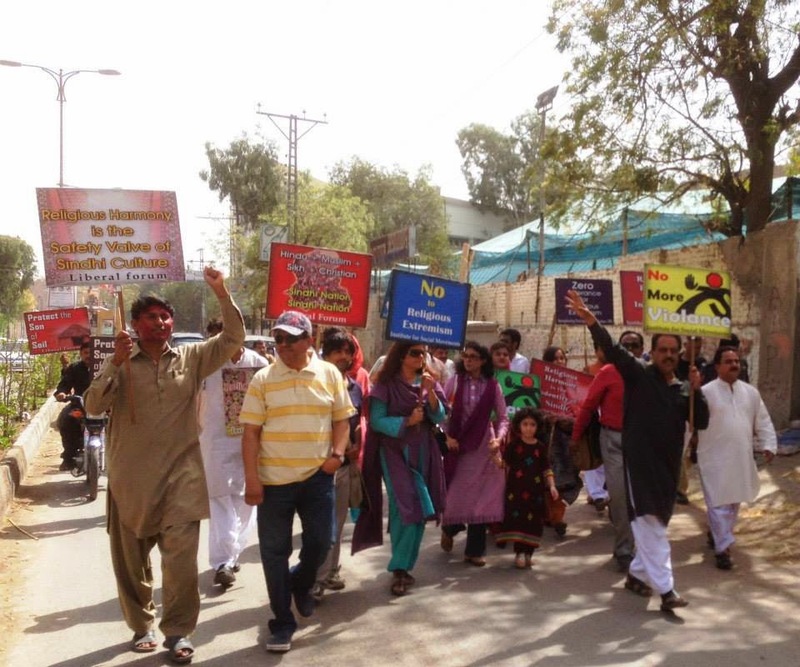 They serve their rulers who continuously dominate them, accuse them, enslave them and oppress them, Hindus do not enjoy equal rights in Pakistan. They are not considered citizens within the society so they are subject to every form of oppression. 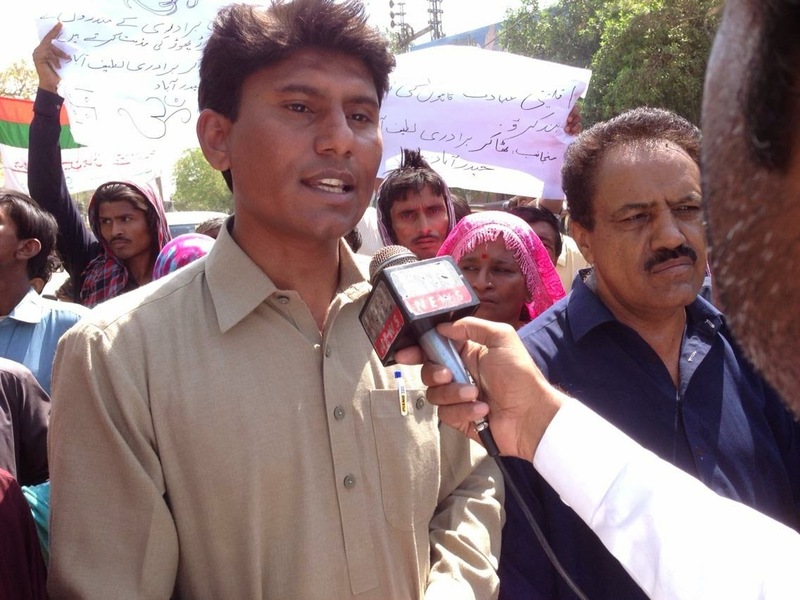 Advocate Veerji Kolhi is one of the few Hindus that is highly respected among Muslims in Pakistan. His work for religious harmony is well known. His friends are many from all over Pakistan and India. He has international connections and works very hard to promote world peace and respect for all religions. 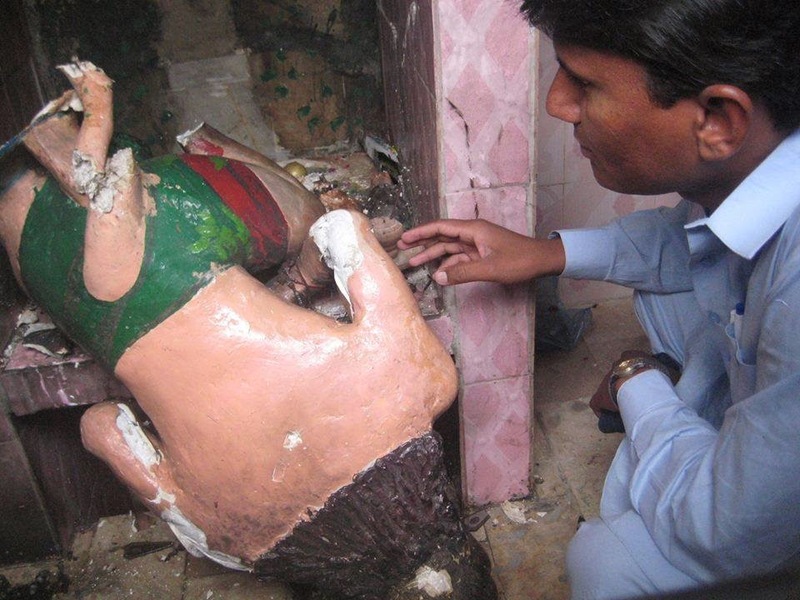 Imagine Advocate Veerji Kolhi's shock and anger when he learns that the Hindu Shrine in Larkana was set on fire. He wasted no time to arrange a protest for this horrific act which crosses every line of morality and decency. Would it be enough for the Pakistani Government to apologize and rebuild this Holy Temple which has a very ancient history? The Temple is now destroyed! The people are angry and devastated and curfews are set in place because of the incident. Why should any community be left to endure this kind of an offense and be left with little means to defend themselves? This incident crosses the line with regard to Human Rights Violations! The Pakistani Government is put on Notice! This incident is well documented and very well publicized. All Human Rights Organizations will be notified. 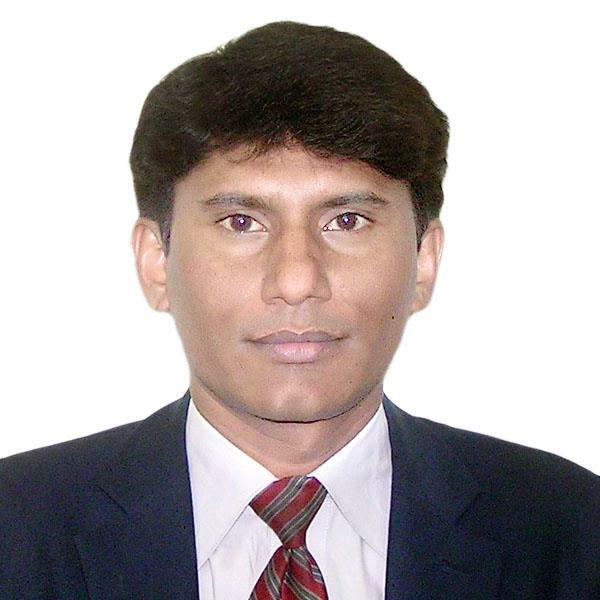 It is highly questionable that the Hindu man accused with Blasphemy is guilty of breaking any law especially one such as destroying the pages of the Koran. 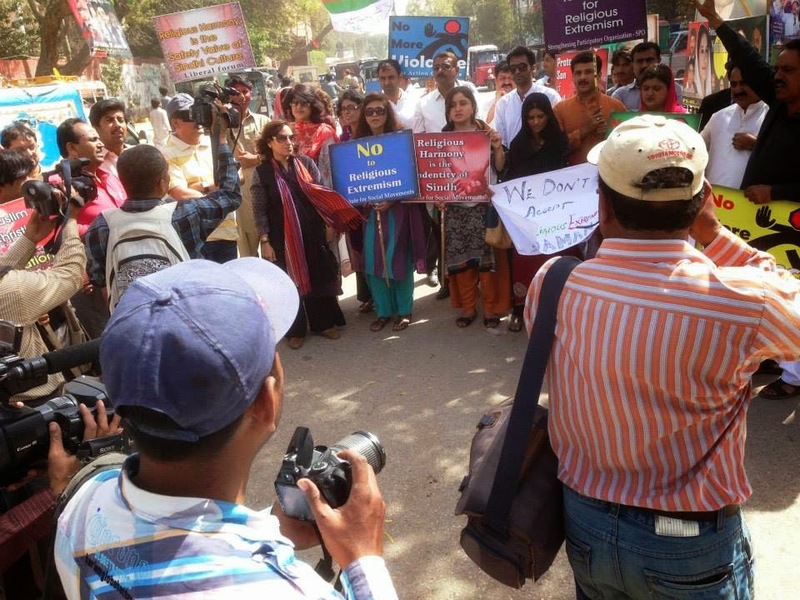 Advocate Veerji Kolhi has shared photos of the protest on the destruction of this temple. An IUFE Update will be posted with Advocate Veerji Kolhi's statement on this incident. 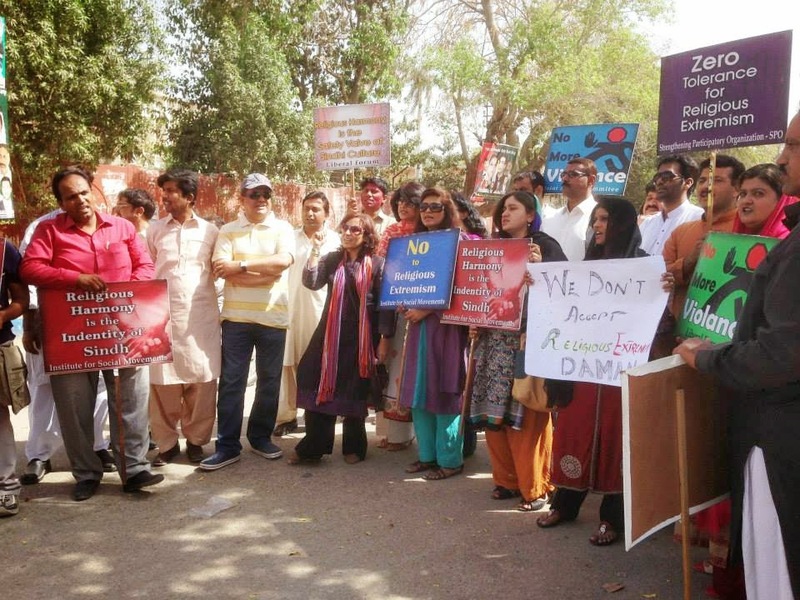 IUFE joins the protesters with full support for their efforts to bring awareness and their demand to stop religious extremism in Sindh and all over the world.